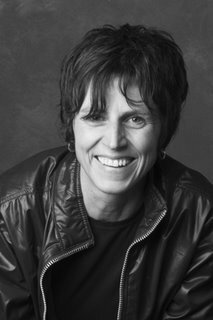 Paula Cisewski is the author of Upon Arrival (Black Ocean, 2006) and the chapbook How Birds Work (Fuori Editions, 2002). Her poems have appeared or are forthcoming in Swink, Hunger Mountain, Black Warrior Review, Crazyhorse, Spinning Jenny, Forklift OH, Swerve, Conduit, and Puppy Flowers, among other magazines. Paula received her B.A. from the College of St. Catherine in St. Paul, MN, and her M.F.A. from Vermont College. She lives in Minneapolis. 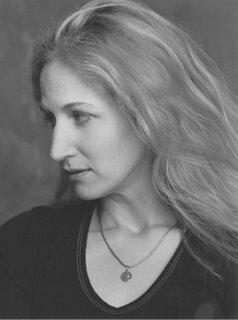 Read her poems in Crazy Horse, Conduit (issue #7 in the archive), and at Green Finch Editions. Juliet Patterson’s first book, The Truant Lover, was selected by Jean Valentine as the 2004 winner of the Nightboat Poetry Prize and was recently published by Nightboat Books. Poems have appeared or are forthcoming in American Letters &, Commentary, Bellingham Review, New Orleans Review, Washington Square, Verse and other magazines. She lives near the west bank of the Mississippi in Minneapolis and is an adjunct faculty member at The College of Saint Catherine and Hamline Univeristy. Read her poems in Diagram, Word For/Word, Typo, and Three Candles. Sarah Fox lives in Minneapolis with her husband John Colburn and her daughter Nora. She works as a doula, editor of Fuori Editions, and a teacher of poetry and creative writing at schools and literary centers throughout Minnesota. Because Why (Coffee House Press, 2006) is her first book. Photo by Ann Marsden. 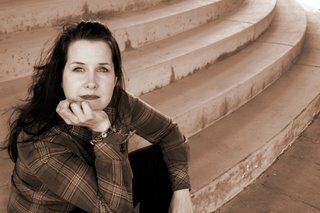 Read her poems at The Academy of American Poets Website, Woodland Pattern, and the MN Artists website.